Read her review and enter the giveaway via the Rafflecopter below! Good Luck! 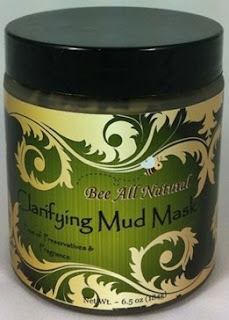 Bee All Natural was founded in 2009 when I couldn't find the quality skincare products I was searching for. Tired of buying "natural" products that were petroleum based and filled with perfumes, I set-out to develop my own skincare that would be safe for every member of my family. The daughter of an organic dairy farmer. I already believed in the connection between diet and health. I wanted the products I chose for my family's skincare to reflect the same quality and goodness as those that I chose for their nutrition. Working independently, I researched, tested and developed each of my products from start to completion. 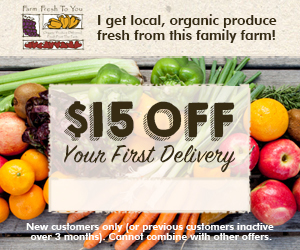 The ingredients are certified organic and are all "food grade" quality. I make each product from scratch and never use pre-made bases. Packaging each batch myself, I even design and print my own labels and carry each order to the post office or retail location! I am proud of Bee All Natural and stand behind my products 100%. I won't sell a product that I don't use and believe in myself. If I can't make a product great, I just won't make it. A Michigan native, I am a regular at the Royal Oak farmer's market where I sell dairy products at my father's booth. I live in Shelby Twp., Michigan with my husband Dave, son Trevor and step-daughter Isabel. The first item I tried was the Clarifying Mud Mask and I love it. The mud was very easy to put on and didn't smell at all. A little does go a long way. My husband did tease me when I had this on my face and said it looked liked the paint he puts on his face when he goes deer hunting lol My face felt so refreshed after using this. The second item I was the Intense Hand & Foot Salve and this works. I have dry cracked heals and I have been using this for almost 2 weeks now and I can see and feel the difference in my heels. Now this doesn't smell the greatest but I love how a little goes a long way. My heels look great. Now for the giveaway: One lucky person will win a Bee All Natural Product. This is open to the US & Canada only and ends 7/09 @ 11:59 pm est. To enter, simply do the tasks on the Rafflecopter widget below and you're set to have a chance to win!